So, I have a type A personality; clean and organized life. Well, I thought I was clean and organized until baby number two came around. Holy moly my house is upside down all the time. I’m constantly behind in laundry, dishes, and just putting the pile of endless papers, mail and my kid’s artwork away. I have come to grips with this and feel better about focusing more attention on my kiddos and less on keeping a super clean house. I try to have my four-year old help clean up, so that I’m not doing everything and to instill responsibility. Sometimes he complies but usually I am threatening to invite the toy monster over. 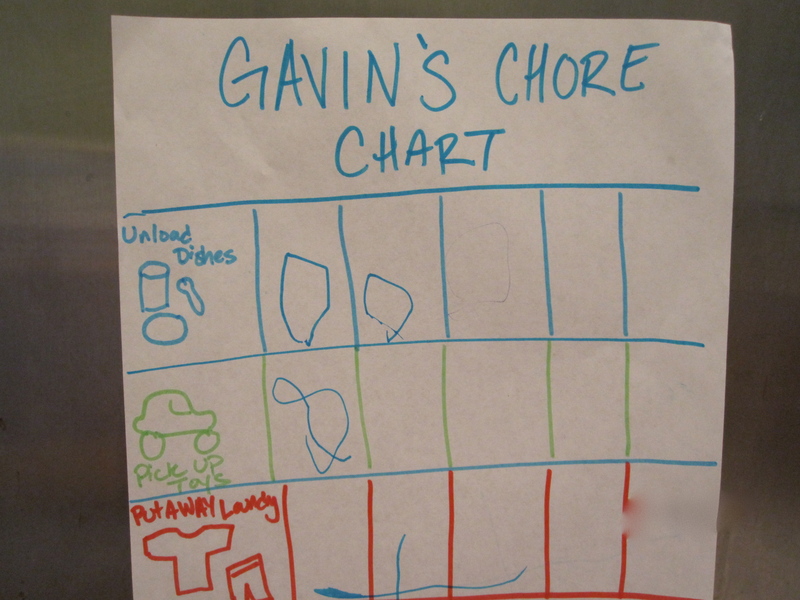 Yesterday I decided to make a chore chart for him to visually see what duties he can do and coins that he will earn. For every chore he does, he will get a quarter and be able to buy whatever he wants. He is very excited about this and I hope that it will continue.